By Jacqueline Butler Mitchell, D.D.S. Brushing your teeth two times a day plays an important role for personal oral hygiene and effective plaque removal. Proper toothbrush care and maintenance are very important and the American Dental Association recommends that you replace your toothbrush every 3-4 months or sooner if the bristles become frayed from use. 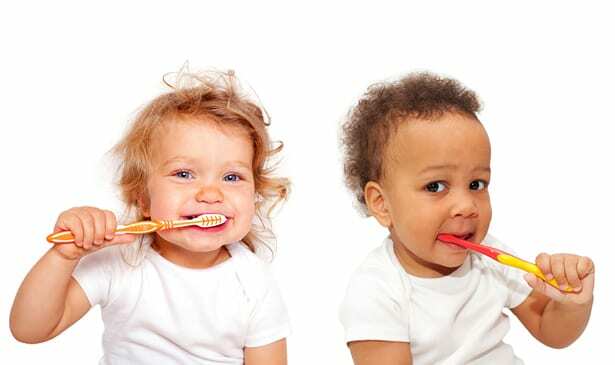 • Never Share Toothbrushes with your spouse, siblings, or your kids because it can result in an exchange of germs and increase the risk of infections. • Do not cover toothbrushes or store them in closed containers because any moisture makes the environment more conducive to the growth of microorganisms. • Rinse toothbrushes thoroughly with tap water after brushing to remove any toothpaste and debris from the bristles. • Store the toothbrush is an upright position and allow it to air dry until used again. • Replace toothbrushes every 3-4 months because the bristles become worn and frayed and this reduces the effectiveness of cleaning. • Replace your toothbrush after having the flu, cold, or any respiratory infections. We know that the oral cavity is home to hundreds of different types of microorganisms, therefore, it is not surprising that some of these microorganisms are transferred to a toothbrush during use. If we take proper care of our toothbrush before and after each usage, we can help minimize the germs found on our toothbrush.